To recap, in Ski Fitness Training #1 we suggested that maybe you aren’t as fit as you thought you were. Perhaps you’re not particularly strong and, importantly, you are not a world cup standard skier, boarder or racer. We highlighted that one week’s ski training won’t make you ‘slope ready’. So we recommended that the first step should be to plan some time for training, if possible 2 x 45 min sessions per week. We also encouraged you to think a little more about what you eat and very importantly, get some help. We all have bodies, so intuitively we all think we know what’s best for them. But would we expect an experienced strength and conditioning coach with an undergraduate degree, masters degree and *UKSCA accreditation to know the intricacies of corporate financial restructuring? So why do professionals with no experience, qualification or understanding of physiology, biomechanics and human body believe they are experts in sports coaching and fitness training? All that said, we live in the real world and we understand that pressures of daily life get in the way. 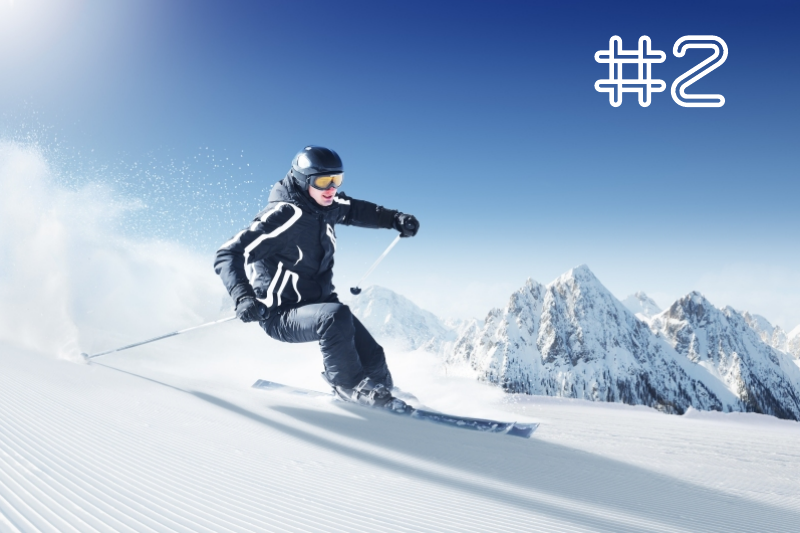 If your only option is 20 minutes in the living room, a couple of times a week, then we have put together a ‘Top 5’ of exercises that will help get you in a better place to take on the slopes and enjoy it. Squats – At home these are most likely going to be done with body weight only. That said, squatting with your five year old on your back is certainly going to make it tougher. Failing that, just do them super slow (time under tension) or load up with a back pack topped up with a few tins of beer/bottles of wine/vodka! Lunge – As with the squats these are probably going to be done under body weight only. However, if you have some dumbbells get them in your hands or employ the same strategies you used with the squats. Wall Sit – Personally I’m not overly keen on using valuable time on isometric exercises, that’s not to say they don’t have their place. However, for home training and Alpine sports I make an exception. Try holding a wall sit for 30 seconds plus after squatting and lunging…..lots of fun! Counter movement jumps – Ten consecutive explosive jumps are not only going to push your power endurance, they’ll also really get the old ticker going so some great anaerobic exercise as well. Plank – For all round trunk stability and strength the plank is the ‘go to’ exercise. Think about quality rather than quantity i.e. lots of high quality holds rather than just one long holding which ends up looking like a demented shaking banana.